So let me answer that right away. Yes, I have a few more books planned for this series, all with the same characters (and a few new ones). 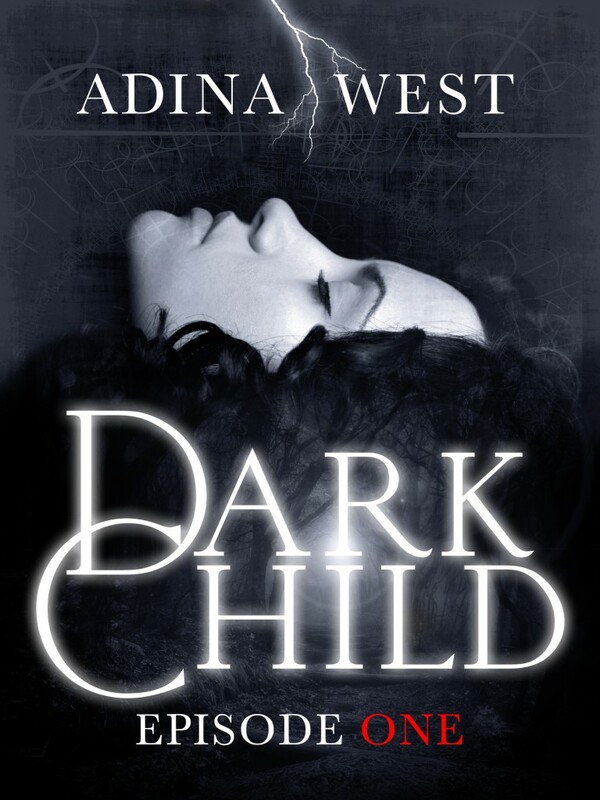 Dark Child Book 4 doesn’t have a title yet, but I’m writing it now, with the hope that it will be released late in 2016. And just in case you started the series late, this page has a complete list of all my Dark Child titles. To make sure you don’t miss news on my new releases, and updates on my work-in-progress, Dark Child ‘inspiration’ pictures and more, you may wish to visit my Facebook page here and hit the ‘like’ button. 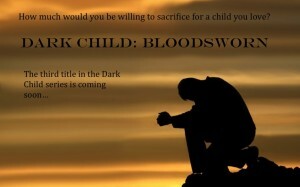 Well, the third title in the Dark Child series is well in progress – completed and with the editor as I write. It will be called Dark Child: Bloodsworn, and I’m very happy to have release dates to share with you! 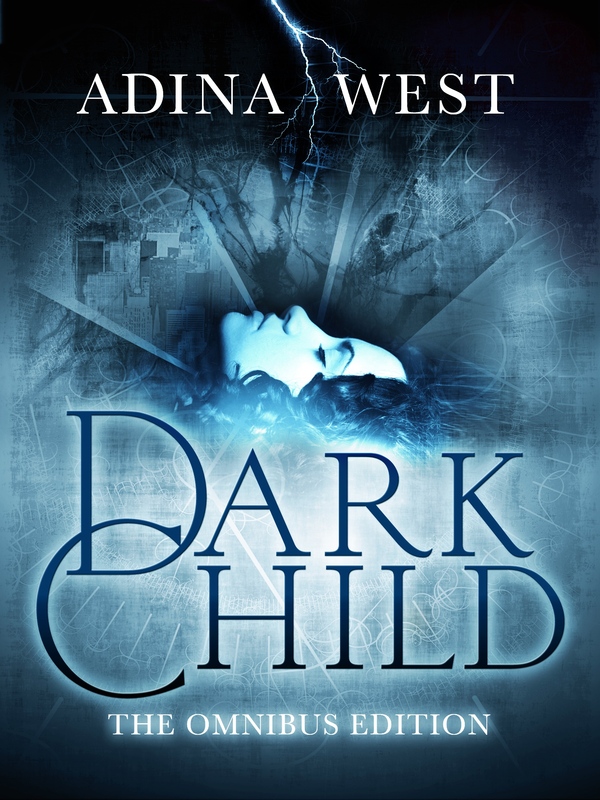 I’m halfway through edits and wanted to let you know that not only will the Dark Child sequel be out in only 3 months (it’s scheduled for a July release, yaaaaay!) but it has a name: Covens Rising. Now there’s a title it feels more real somehow…and it’s the title I chose, too. Sometimes publishers come up with something completely different from the working title you’ve had in mind the entire time you were writing, but this time, they loved the title I came up with. I’ve posted an excerpt from Covens Rising over on my Facebook page here if you can’t wait any longer for a sneak peek. Hoping to have a cover to share very soon. Exciting! I was spending so much time writing in January as I raced to the finish (meaning, as my publisher deadline was approaching) that I’ve been feeling at a loose end for the last couple of weeks. I can’t wait to get into these edits; I’m suffering from keyboard withdrawals! Or maybe it’s just that I want to spend a little more time with Kat, Alek and Amarok – and my wonderful new characters, Ben and Yara, who you’ll be meeting very soon. After living in their world for the last few months, I can’t quite let them go. I’m getting lots of questions about what’s next for Kat, and Alek and Amarok. 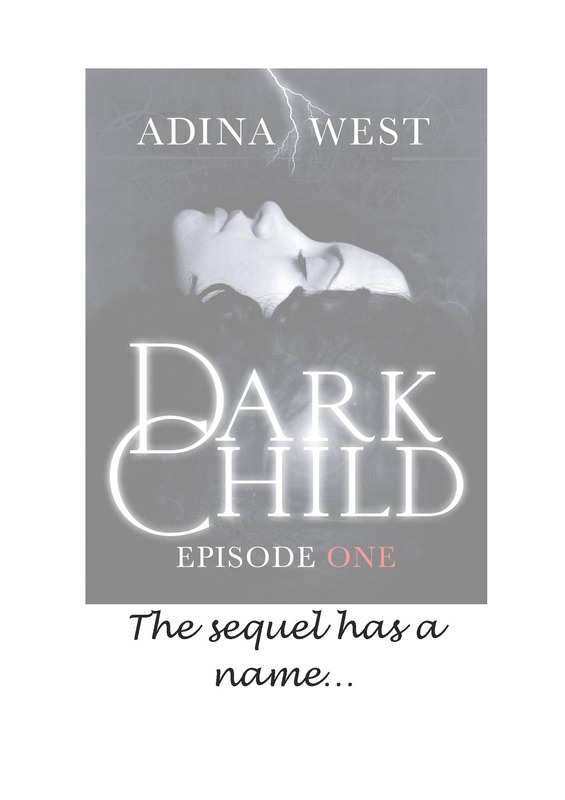 About whether there’s a sequel to Dark Child (you may have read it as Eps 1-5 or as the Omnibus). The answer is yes! 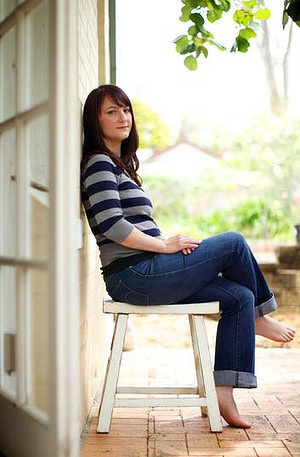 I’ve always planned to write more than one book following Kat’s journey of discovery. There are more twists and turns in store before she’ll truly understand her role in the future of the Tabérin, or know how to make sense of the confusing men in her life – and of course I fell in love with all my characters when I was writing Dark Child, and want to tell their stories too. If you’d like to stay up to date with the latest sequel news and make sure you hear first when a new release is pending, you have a couple of options. 1. Subscribe to the RSS feed on my website blog page. Just click on the icon with a dot enclosed by two quarter-circles, up there in the top right corner next to the Twitter and Facebook icons. 2. Pop along and ‘like’ my Facebook author page: https://www.facebook.com/pages/Adina-West/137000589793632 I’ll post updates there whenever I have news! 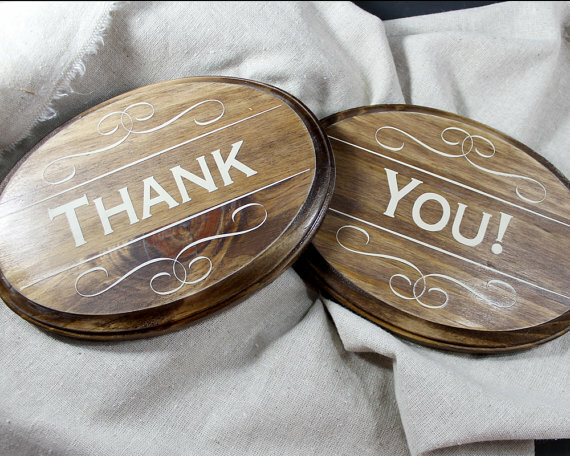 Thank you so much to all the readers who have found me and said hi on Goodreads, Twitter or Facebook, or have emailed me. And a big thank you if you’ve taken the time to review Dark Child too. It makes it all feel real to me, knowing you’re out there cheering for the characters and wanting more! My forthcoming novel, Dark Child, recently got a mention in the Sydney Morning Herald – along with the lovely picture of me below – because it’s to be released as a serialised novel, meaning in instalments. The first instalment will be released in February 2013, so not long to go now! The serialisation is a great experiment in reader engagement, and is perfectly suited to the way people read e-books. Great for commuters and busy mums. The picture of me was taken out on my back patio, and you can see a curling vine coming down in the background, which is my crazy and flower-laden female kiwi-fruit vine. I’m hoping this year I’ll actually get to keep some of the fruit, because last year our (unwelcome) resident possum treated the vine as its personal larder and ate every last one. Read the full article on Dark Child and e-serialisation at the Sydney Morning Herald site here. 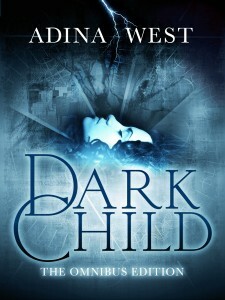 Every writer dreams of the day they will be published, so I’m overjoyed to share with you the news that my book, Dark Child, is to be published in 2013 by Momentum, Pan Macmillan Australia’s new digital publishing division. I’ve been talking with publisher Joel Naoum about serialisation and lots of other fun stuff which is only possible with digital. It’s all very, very exciting, and right now I’m in the middle of an intensive editing process, getting Dark Child ready for publication. Hard work, but at the end of it I really believe you’ll get a better book to read! For me, writing a book has been a strange sort of process. I write because it’s something I absolutely love doing. Because my characters and their stories are always clamoring away, demanding to be released. Putting my ideas down on paper, typing them into the computer, or in some way giving them a real form – offers me a kind of catharsis, and allows me to let them go. 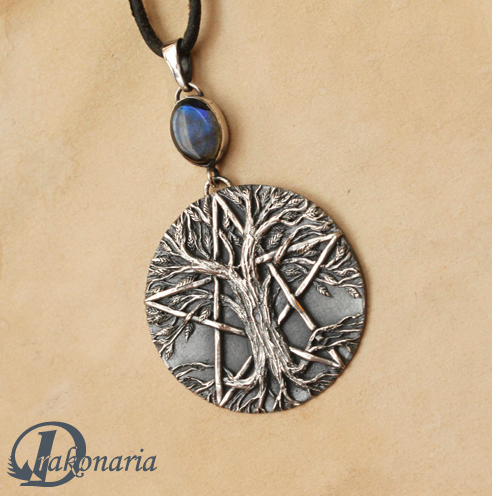 Early in my book’s gestation, I found my writing revealed parts of me that I usually keep hidden. 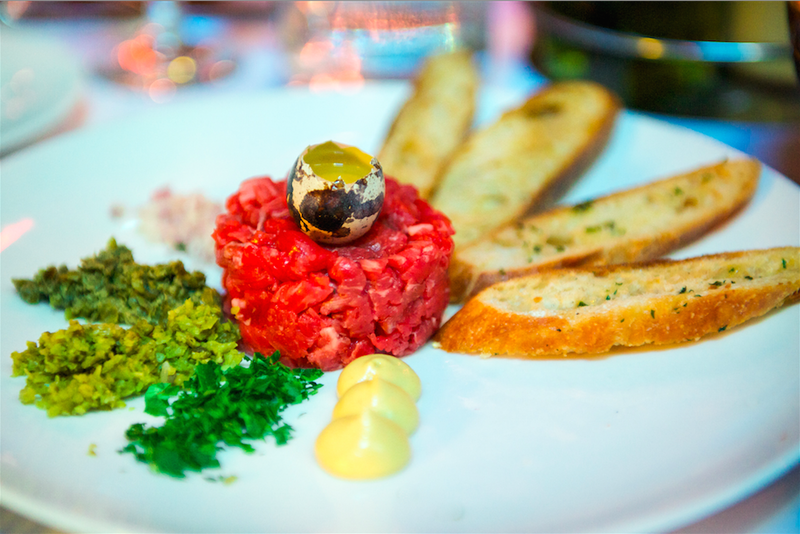 It was raw, experimental, and sometimes clumsy. At the beginning, my writing was a very private thing. But finally, I finished my first draft. I proof-read and polished my book, which took several more months. After this came the hard part; the quest for publication. I felt ready to share my work, or I wouldn’t even have been considering sending it out into the world. Still, however ready I thought I was, all my insecurities came to the fore every time a new reader – an agent, or publisher – got their hands on my manuscript. I wondered each time if they’d like it. If they’d get it. I feel very fortunate to have reached the end of that proverbial tunnel. To be stepping out into the sunlight, and making the transition from ‘aspiring author’ to ‘author’. It really is a dream come true for me. Every author needs a website…so I’m proud to welcome you here to adinawest.com to share my journey. Join with me as I navigate my way through this unfamiliar, sunlit plane. I’m sure – like the dark tunnel which came before – it will be filled with pitfalls and lessons to learn. But also – I hope – with wonderful new experiences. Now I’ve joined the ranks of the soon-to-be-published, I have something new to look forward to: the day my book is released. When it stops being mine, and becomes yours. There’s magic in a novel, and most of it is due to the reader. Only you can breathe life into the world I’ve created and the characters who populate it. Thank you for giving me that gift.